After leaving the Army in June 1984, and unable to slip back into Civilian Life after years in The Forces. The Unit I choose was the best I could've wished for. Always out in the Hills, or on the Barren beaches on Exercise. Training to repel the Enemy in the event of an invasion of our Country. A Military unit established in the UK in 1982, linked to the Territorial Army (TA) and recruited from volunteers aged 18–60 with previous army (TA or regular) experience. It was introduced to guard key points and installations likely to be the target of enemy ‘special forces’ and saboteurs, so releasing other units for mobile defence roles. It was stood down in 1992. The pilot started in September 1982 and consisted of four companies that were used to relieve the Army of guarding key points, consisting of 18-59 year-olds with training obligation of 4-5 weekends per year. In 1984 there were platoons in 11 cities and the force began expanding to 5000 persons nationwide, with the goal of establishing a platoon in every T.A. company by 1988. Its last unit was disbanded in 1993. Membership was open to recruits who had previous military service, which could have been with the Army, Royal Navy or Royal Air Force, MoD Police or as adult instructors in the Army, Navy or Air Cadet Forces. Reserve forces of significant length of service were also eligible. This meant that there wasn’t the usual raw recruit training, just refresher training to bring everyone up to scratch, for example, some of the volunteers were used to the SMLE rifle and many a drill night was spent getting to grips with the SLR and then later with the SA80. This Unit was newly formed at the time, and I enjoyed every minute of it. 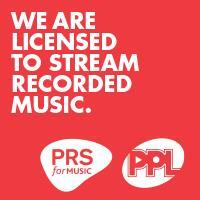 …or perhaps you have never heard of us? People were recruited who had retired from the forces (regular & reserve), to carry out low level Home Defence roles in the event of an attack on Great Britain, and wouldn’t cost lots of money in basic training. They were administered within the existing Territorial Army, and with a bit of familiarisation with more modern weapons and equipment, a very keen and experienced force was thus available which could be very valuable if somebody decided to attack the UK. In 1982, four pilot Companies were formed in Perth, Reading, Bedford and Worcester. 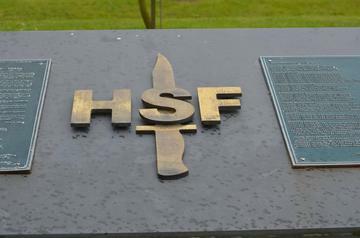 A full HSF Company had 100 – 120 soldiers (including 5 officers) and was usually commanded by a Major. There was no need for the Home Service Force in Northern Ireland because there already existed a number of Home Service Battalions of the Ulster Defence Force (later part of The Royal Irish Regiment), and so The HSF was confined to the mainland of Great Britain, although there were detachments based in in the smaller offshore islands as well. ​YES ALL YOU LADS AND LASSES WHO WERE MEMBERS OF THE UNKNOWN HSF DURING THE COLD WAR. JOIN UP BE READY FOR THE INVASION. ​EVERY TOWN IN GREAT BRITAIN THAT HAD A TA UNIT HAD A PLATOON OF MEN READY TO DEFEND THESE ISLANDS. ​ I KNOW YOUR STILL OUT THERE! The NMA In 2005, the National Memorial Arboretum opened and with it the new Home Service Force Grove which was dedicated and officially opened by The President.